Shabana Azmi, Javed Akhtar, Vicky Kaushal, Tanvi Azmi and others watched 102 Not Out. 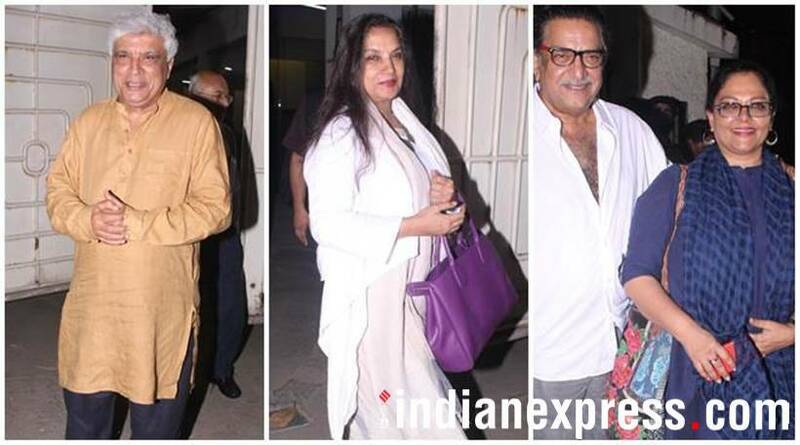 Shabana Azmi, Javed Akhtar, Vicky Kaushal, Tanvi Azmi and others watched 102 Not Out at a special screening held in Mumbai. Scroll to see the photos. Javed Akhtar was seen at 102 Not out special screening. 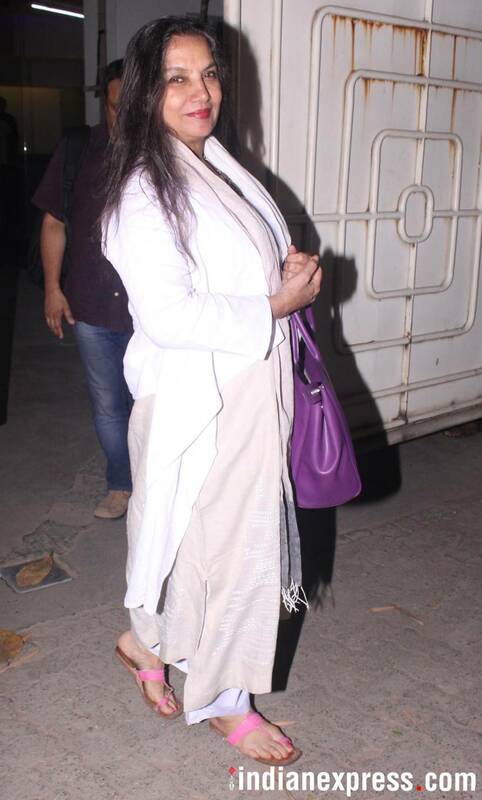 Shabana Azmi accompanied Javed Akhtar. 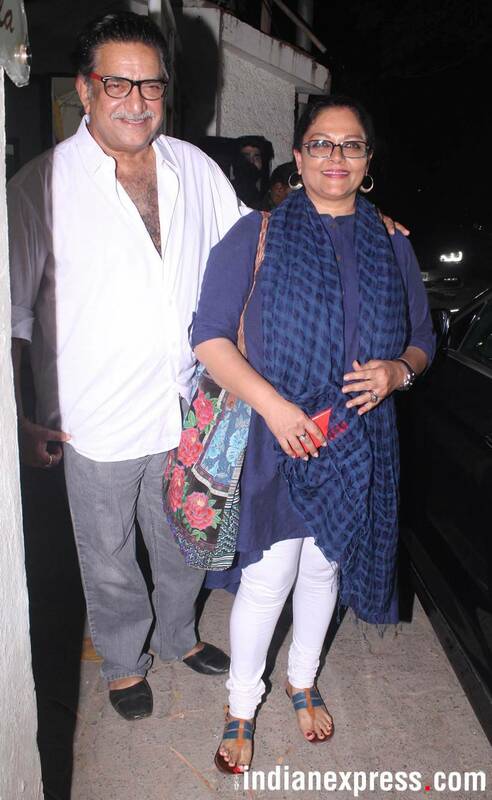 Baba Azmi and wife Tanvi Azmi also came to watch the Amitabh Bachchan and Rishi Kapoor starrer. Raazi actor Vicky Kaushal attended the screening. Kartik Aaryan was snapped at the screening. A few others guests also graced the screening.